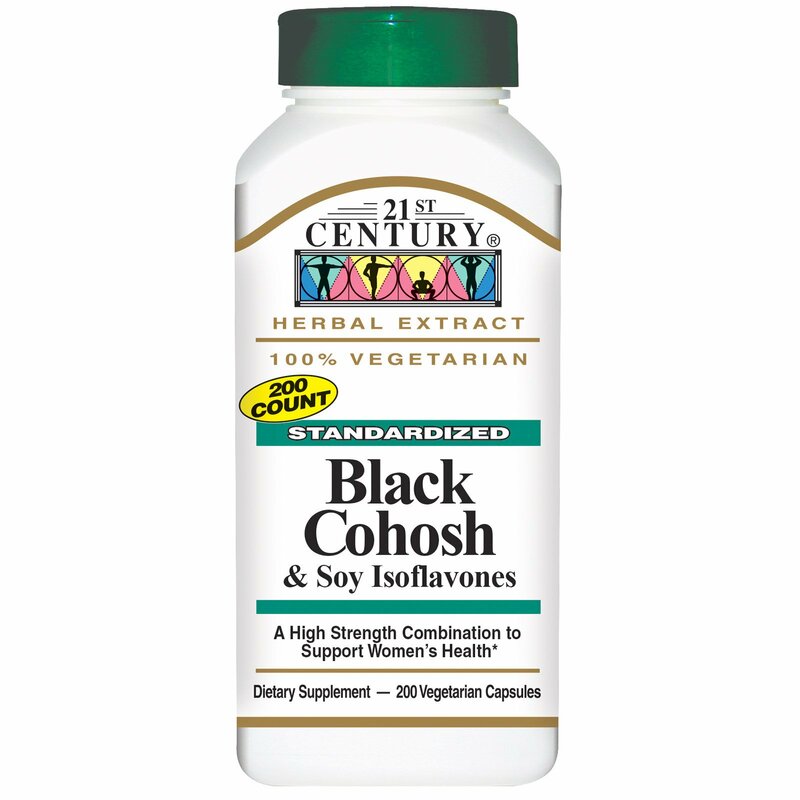 Black Cohosh and Soy Isoflavones, two leading herbs for women, are combined to support women's health, especially during midlife years. 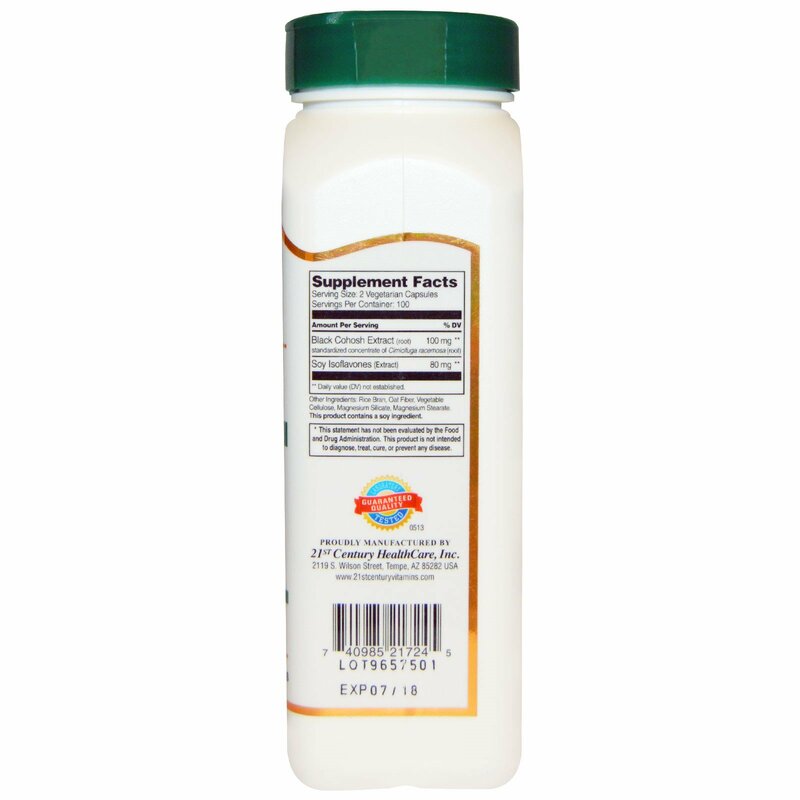 21st Century offers the highest quality ingredients produced to strict standards for support of your good health. Take two (2) vegetarian capsules daily - one (1) in the morning and one (1) in the evening with meals for maximum results, or as directed by your healthcare provider. Do not exceed recommended dosage. Rice bran, oat fiber, vegetable cellulose, magnesium silicate, magnesium stearate. This product contains a soy ingredient. Before using this product, consult your healthcare provider if you are: pregnant or nursing, have a medical condition, taking any medications, or are planning any medical procedures. If any adverse reactions occur, discontinue use and consult your healthcare provider.